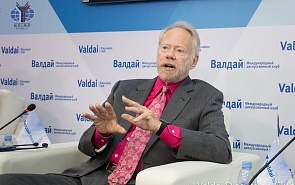 The situation in the White House prevents Washington from focusing on foreign policy, and relations with Moscow in particular, says Robert Legvold, Marshall D. Shulman Professor Emeritus, Columbia University, and Director of the Euro-Atlantic Security Initiative. According to Legvold, there are no conditions to change this situation in the near future. Find out more in this video interview.